All wheat and triticale seed, both entering and leaving CIMMYT, must pass through the seed health laboratory. 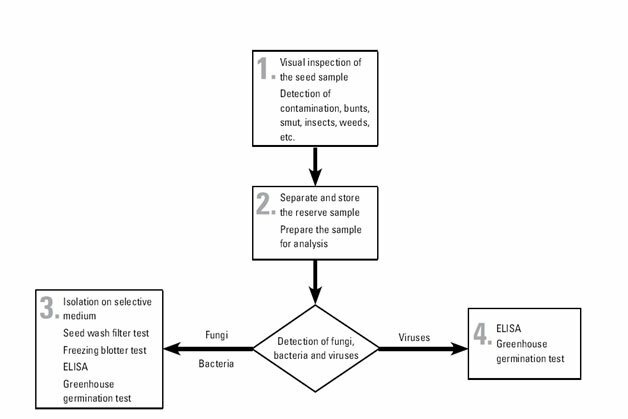 All seed undergoes the same set of testing procedures, although the key target pathogens vary between incoming and outgoing seed depending on relevant quarantine regulations. 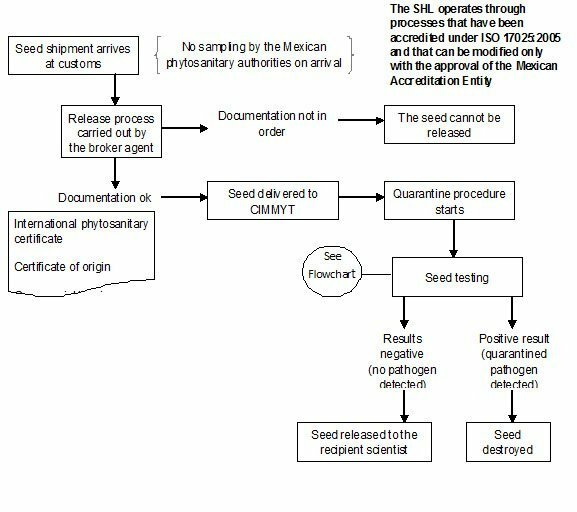 There is a zero tolerance for Karnal bunt teliospores and very strict procedures are followed for moving seed within Mexico from Karnal bunt-contaminated to Karnal bunt-free areas. Immunofluoresence test, an immunological assay, taking six hours, for the detection on wheat seed of Xanthomonas translucens pv. undulosa. * Quarantined under Norma Oficial Mexicana NOM-017-FITO-1995.